CFBC Kids who have completed 5th Grade. Trip MUST be paid in full by 6/5. Cost includes transportation, lodging for three nights, meals and two t-shirts. Bring 1 pack of toilet paper. Bring 1 container of laundry detergent. Ministry opportunities will include a neighborhood food drive, Faith Mission, serving at the Brazos Valley Food Bank, Assisted Living Facilities, various ministries in the area and kid’s clubs at local apartments. Please turn in the application and participation agreement with $50 deposit. 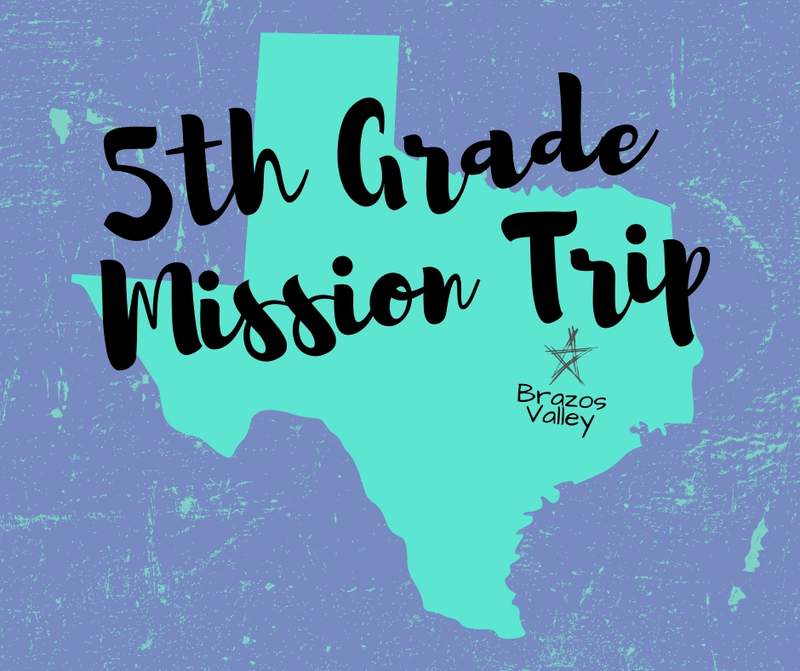 The trip is limited to 50 5th Graders. CFBC Life Group attendance will be taken into consideration when selecting the team. All students going on the trip will be required to attend both training sessions at Champions Campus.